To Somerset for the second memorial lecture in honour of Ian Constantinides (1955-2013) a conservation builder of great character, who I was lucky enough to know during the last five years of his life. He won me in an auction: he chose to ignore the prize (a journalistic masterclass) and instead invited me to one of his lectures, that he was giving at the SPAB, on restoring plasterwork. I was immediately entranced by his manner of delivery and voice (watch a short clip here from 1.10 minutes in). 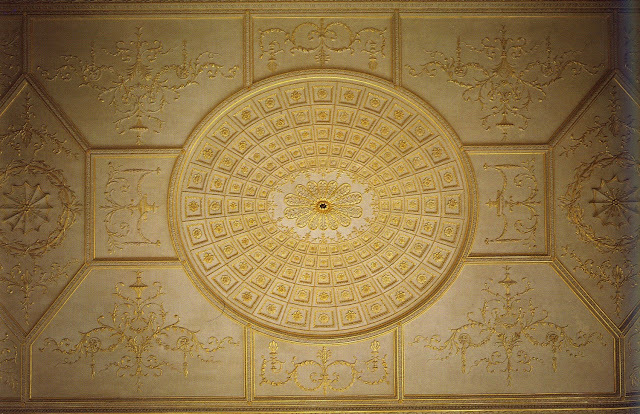 At this lecture he said that the only way to appreciate a stucco ceiling was to lie on one’s back and look up - something I have since taken to doing. Ian drove me to dinner at Blacks in his open top car and we talked about Moscow, where I was working at that time. A couple of years later he accompanied me on a research trip to look at Golden Ring Churches. By the end of a week with Ian my eye was eagle sharp - he was an expert at looking, and at asking questions. He could see which repairs were old, which fresher, what was natural wear and tear and what was manmade. When he looked at a building he was trying to understand the decisions behind the design, and the repairs. The thing that enraged him - and he liked to get enraged - was fuzzy thinking. While enormously appreciating old buildings - their smells and textures, craftsmanship of all levels - Ian was not sentimental. When I posited that I was thinking of removing the wood veneer floor from my Golden Lane flat and replacing the original parquet, he said ‘why? this floor is working perfectly well and it is extremely practical.’ He realised that I probably wouldn’t gain pleasure equal to the amount of effort and money it would have costed. He was right. Ian Constantinides in story telling mode, in the chapel he lived in, extravagantly decorated with ladies' dresses and mounted animal heads. The lecture this year, organised by Ian’s widow Sarah Constantinides, was called Up from the Ashes: The Restoration of Historic Buildings After Calamitous Fire. 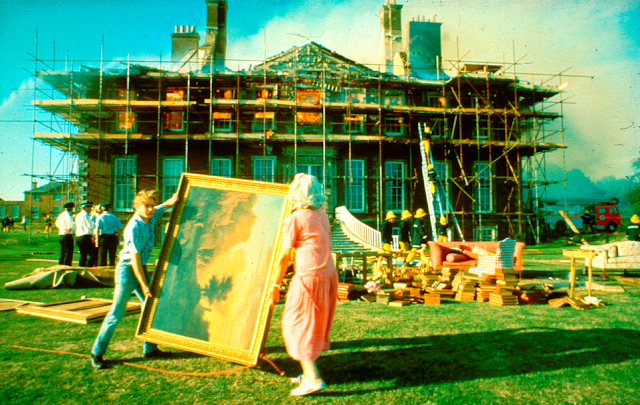 Some of Ian’s major achievements involved rebuilding post fire: Uppark House, following the fire of 1989, Prior Park, burnt down in 1991, Windsor Castle after the fire of 1992, and St Ethelburga’s church in the City of London following the IRA bomb of 1993. Ian disliked the cult of expertise - he always called himself a builder and considered that the best way to learn was on the job. Under his supervision, master craftsmen were born at the sites he restored - they learned from copying the work of masters that they were reconstructing and restoring. Working parallel with Ian at Uppark, was Geoffrey Preston, who restored the plasterwork. He is now one of the most skilled architectural sculptors and creators of fine plasterwork in the country. His work is breathtaking. Uppark after the fire, in the foreground, bins containing ashes and fragments. Another master, Clare Venables, also spoke. She restored the plasterwork at Windsor Castle after the fire. The plasterwork is a riot of gilded baroque scrolls, foliage and birds. Close up it less refined than that at Uppark, but as Clare pointed out, it was to be seen from much further away as the ceilings are 40 feet high. The skill involved in this level of craftsmanship is truly staggering. When Uppark was burnt out, there were not the existing skills in the country to restore it - neither for the plasterwork - Geoffrey Preston was still training - nor for the woodwork. The carpenter’s guild closed ranks on Ian as they knew they could charge whatever they wanted for the work - it was the biggest job going at the time. Ian refused to deal with them and opened the tendering process up to non professional carvers, asking them to send in samples. In the end the team was made up of both: those with little or no training indeed did learn on the job. The talk on friday opened with an enlightening introduction from Martin Drury. Drury was chairman of the National Trust during the time of several fires. He talked us through several of these, and the lessons that were learned. Following the fire at Nostell Priory in 1980, the National Trust realised that there were not enough photographic records of their properties. 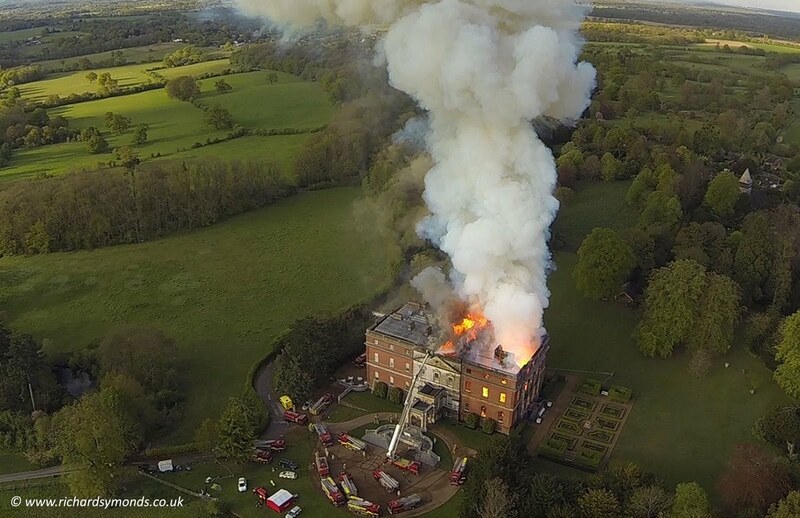 As a result, they invested an enormous amount in recording their buildings after this, thanks to which there was a thorough record of Uppark when it burnt in 1989. 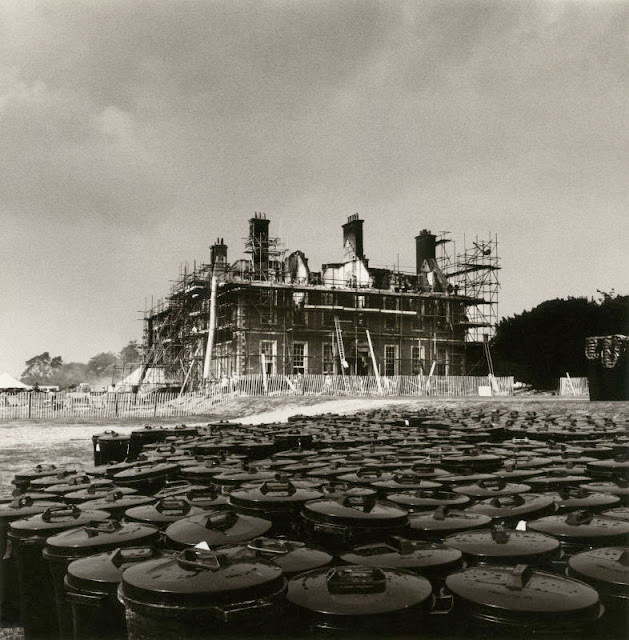 Martin Drury showed extraordinary photographs of salvage squads, including the the Meade-Fetherstonehaugh family who lived in a part of the house, at work clearing the house of its contents as the fire raged. All in this short National Trust video. Restoring it to a better version of itself is extremely ambitious - for one thing, nobody has seen this version. And saying that it is an opportunity “to create new heritage for the future,” gives me the creeps: that is exactly what the Mayor of Moscow did in the 2000s, leading to inaccurate results and setting disastrous precedents. However, hopefully no such excesses will be pursued and I wish them all the best: after all, rebuilding Uppark was also very ambitious and it was a success. One lady in the audience had recently visited Uppark and said that information about the fire and subsequent reconstruction was not in evidence. When asked, one of the guides had said to her that there had been a reconstruction, all done by eastern european workers. There is no record of the fire on the website. I hope that at Clandon, the work of the craftsmen restoring and reconstructing, and the innovative methods they will inevitably have to come up with, will be celebrated. And that a new generation of woodworkers, plasterers and masons subsequently grows out of the tragedy of the fire. Ian would agree, this would be the most valuable gift that could come out of this tragedy. On the same note, his widow Sarah is at present creating an education fund in Ian’s name to provide training for young restorers. For more information, please contact Sarah Constantinides sarah.buscottfarm@gmail.com.